Thanks to Amazon, we’ll get to see Charlie Hunnam and Katherine Heigl face off in a release-date cage match. /Film reports that the retail giant and streaming platform has unearthed a spring premiere for The Lost City Of Z, an adaptation from James Gray (The Immigrant, Two Lovers, We Own The Night—basically any Joaquin Phoenix movie from the last decade that wasn’t Inherent Vice or I’m Still Here). The Lost City Of Z will welcome visitors on April 21, 2017, which is also the debut date for Unforgettable, starring Heigl and Rosario Dawson. Of course, both films could end up roadkill in the wake of Fast 8 (né Furious 8) which will be out on April 14. 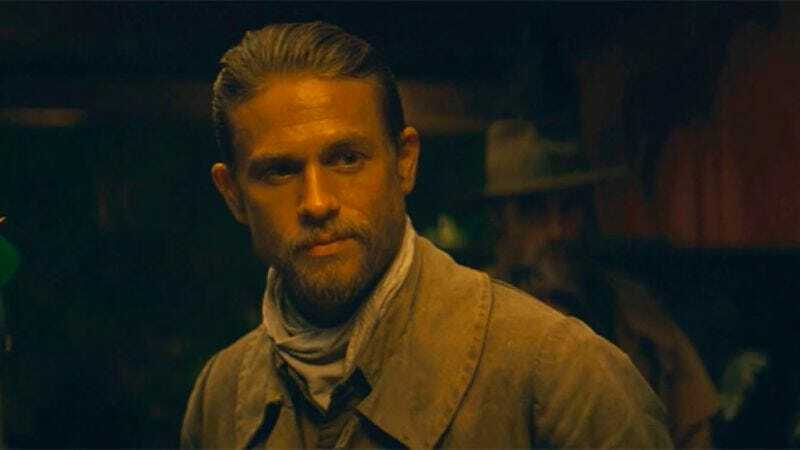 If you need help deciding which film’s box-office revenue to contribute to, The Lost City Of Z stars Charlie Hunnam as an explorer who becomes obsessed with finding the titular hidden metropolis. His son Spider-Man tags along on the perilous journey, probably wondering why he couldn’t have gotten a summer internship instead. Meanwhile, Unforgettable is a dueling-wives comedy that will see a former Mrs. (played by Heigl) make life miserable for a newlywed (Dawson). Heigl and Dawson took over for Kerry Washington and Kate Hudson, the latter of whom has probably had enough of warring over weddings. Choose wisely, or just wait to watch Fast 8 in its second week.